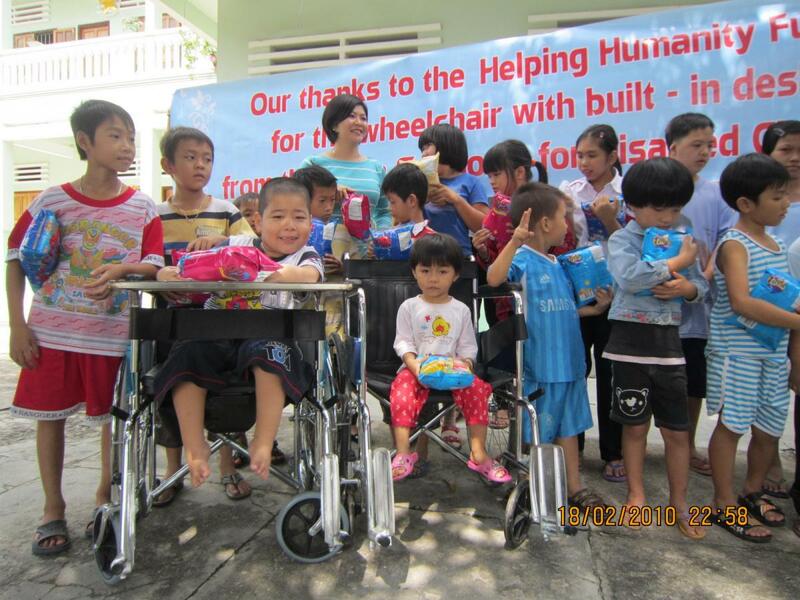 Home/Orphanages, Thua Sai Home for Disabled Children/Thua Sai Home for Disabled Children Gets a Customized Wheelchair! 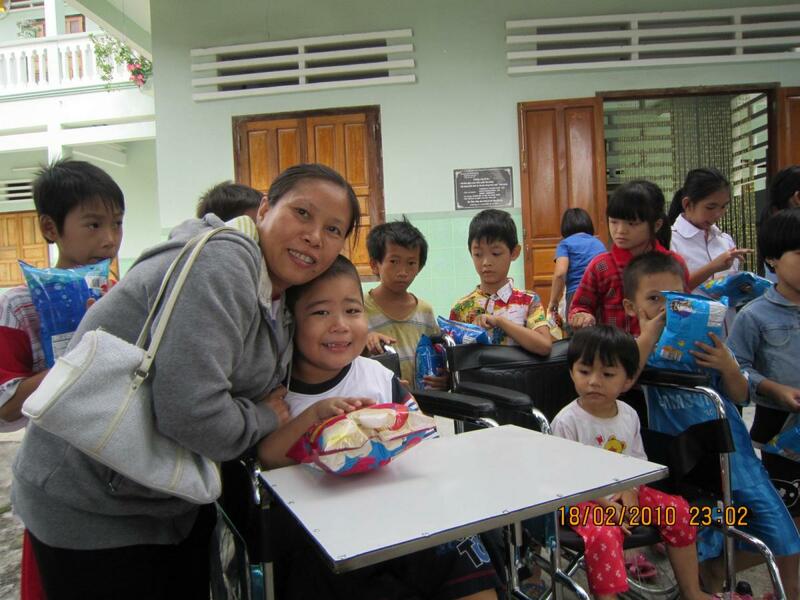 On November 19, 2014 we brought a customized wheelchair to the Thus Sai Home for Disabled Children. 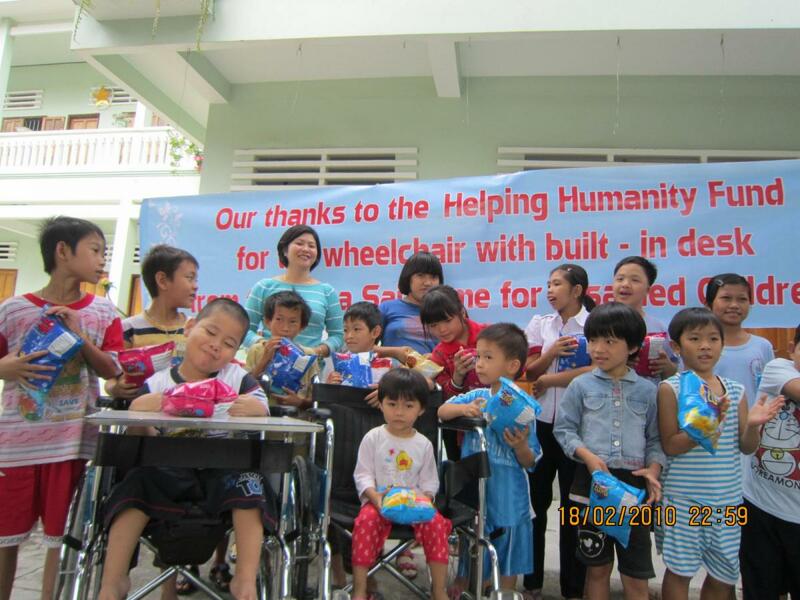 This gift came from The Helping Humanity Fund, which supports small charities in Asia. 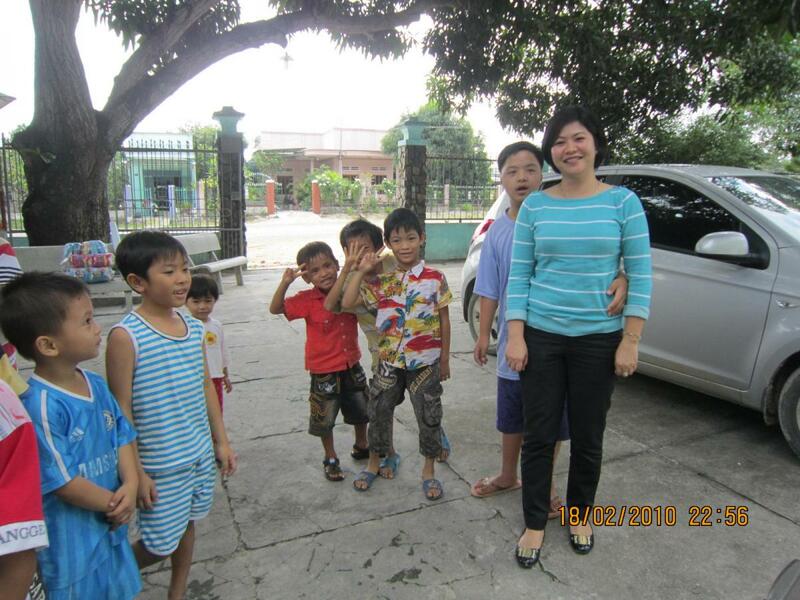 Several months ago we were contacted by Paul Grossman of The Helping Humanity Fund, who wished to explore aiding childhood education with the places that we assist. 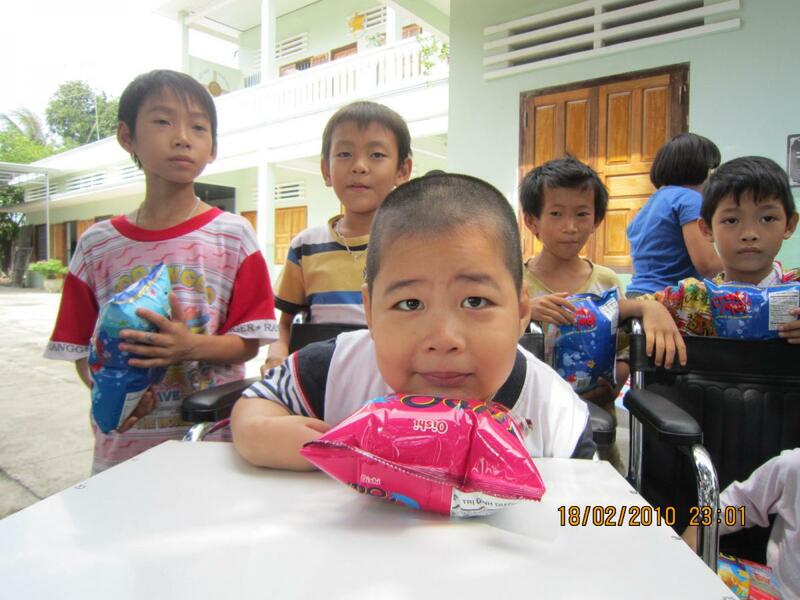 He made a generous donation to both the Sunflower Children’s Home and the Thua Sai Home for Disabled Children. 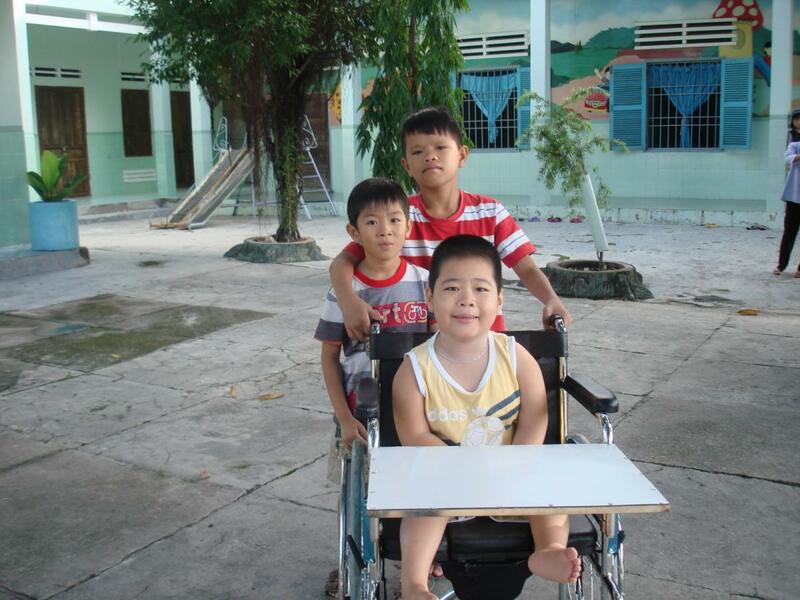 Located in Cam Ranh, Thua Sai is a home for children with cerebral palsy, learning disabilities, and deaf children. 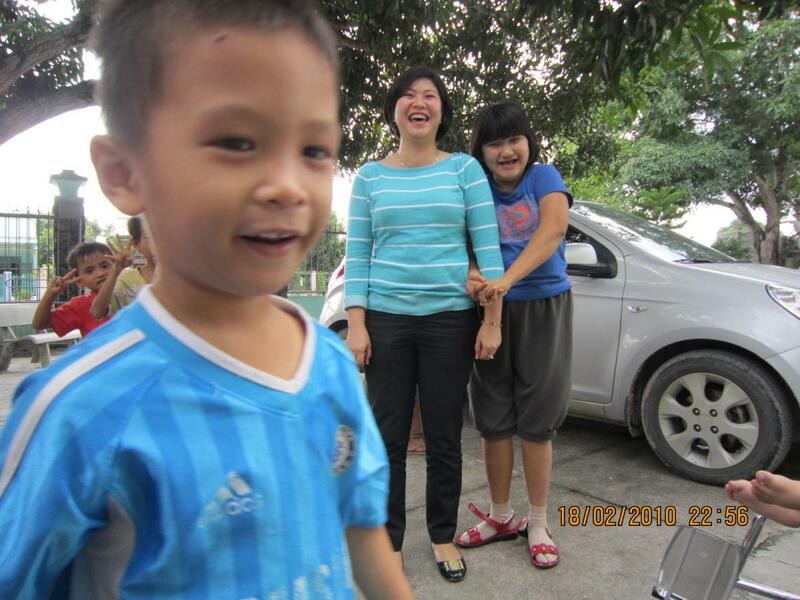 The children all come from poor families in the area who cannot care for the children, or pay for private schooling for special needs children. 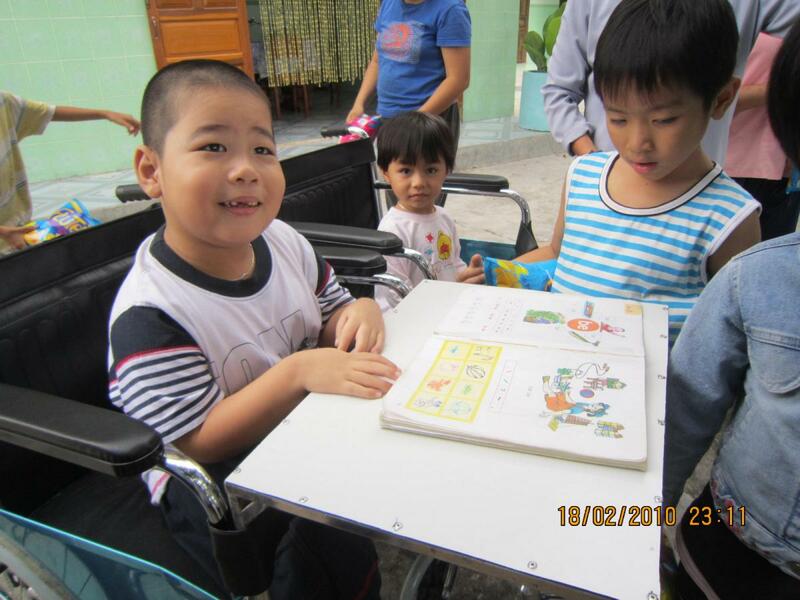 Several children are confined to wheelchairs, and when they attend classes they must be lifted into chairs that are not designed for special needs. 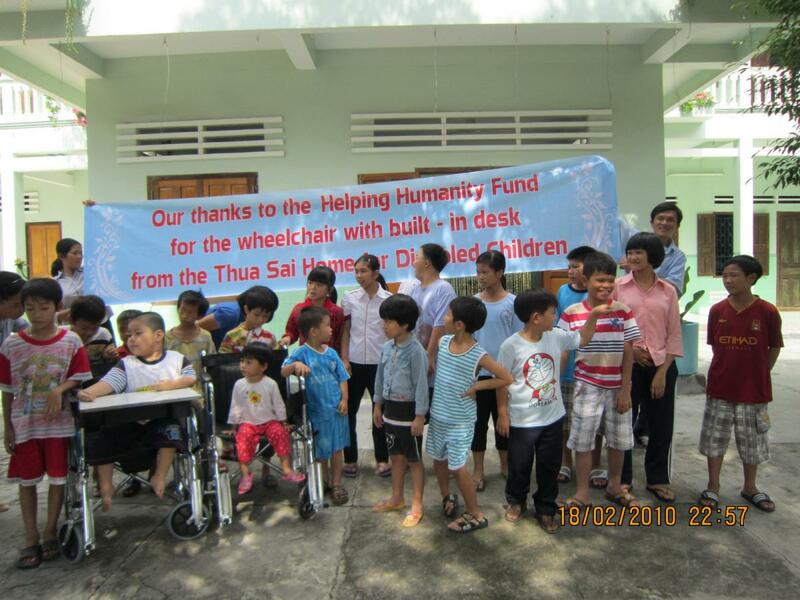 The wheelchair provided by The Helping Humanity Fund is specially designed for education, with a fold-out desk that allows the child attend classes while remaining in their wheelchair. 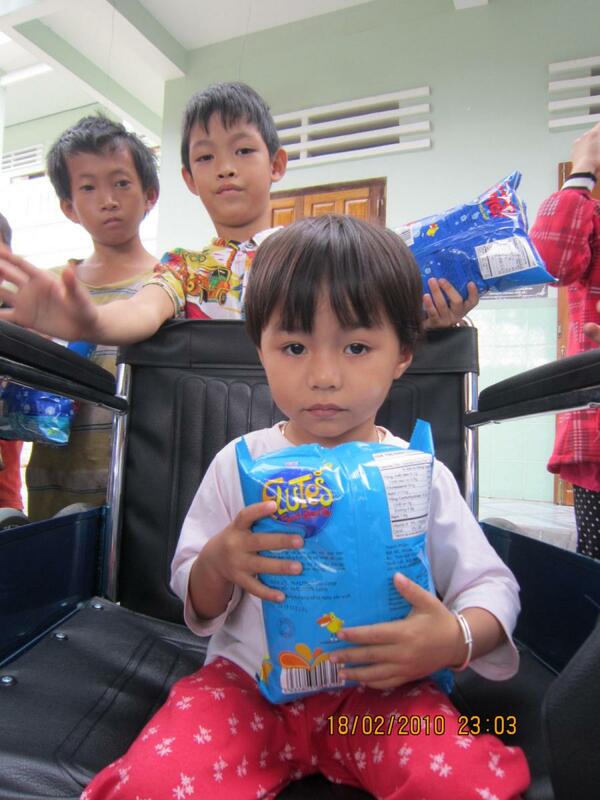 Our thanks to everyone who made this kindhearted gift possible!